Roulette often seems like a complicated game to many beginning gamblers. In truth, it’s one of the simplest casino games to learn. Once you absorb and apply these roulette basics, you’ll discover that the game moves at an easy pace and most of the bets are straightforward. Below, we’ll explain the fundamentals so you can get started quickly. We’ll describe the roulette table, wheel, placing bets, and other basics of how to play the game. The basic premise of roulette is simple. Just pick which number the ball is going to land in and you are a winner. Bovada Casino - Our #1 pick. Offers single zero roulette for best odds. Slots.LV - If you like roulette and slots then this is the site for you. BetOnline Casino - Live dealer casino. Watch real dealers spin the roulette wheel. FortuneJack - Play roulette with a variety of crypto currencies at this crypto centric online gambling site. Huge bonuses, provably fair games, live dealers and more. The roulette table layout is arranged into 2 sections: inside and outside. The inside area is organized into three columns of numbers, and the zero and double-zero are positioned atop the columns. Like the wheel, half of the numbers on the table are black and half are red. The outside area contains boxes for column bets, even money bets (red versus black, even versus odd, etc. ), and wagers on other groupings of numbers. In land-based casinos, a roulette table is covered with felt and provides a nook for the dealer to stand. At one end of the table sits a roulette wheel with the layout of corresponding numbers and bets spread nearby. On this page, we’ll describe what you can expect to see when looking at a roulette table. We’ll explain what each of the numbers, symbols, and bets signify. If you’re looking at a roulette table from above, you’ll notice three distinct columns of numbers. If it’s an American table, a zero (“0”) and a double zero (“00”) will sit at the top of the columns. On European tables, there is only a zero; a double zero is not used. Underneath the zero and double zero are numbers 1 through 36. They’re arranged sequentially from left to right across the three columns (similar to how you would read a book). Some of the numbers are red while others are black. It’s worth noting that the zero and double zero are neither red or black; they appear on green backgrounds. At the bottom of each column is a box labeled “2 to 1” or “2:1”. We’ll explain what those boxes represent in a moment. The individual numbers, and the zero and double zero are considered the “inside” portion of the roulette table. The “outside” portion consists of several boxes that refer to specific groups of individual numbers. Nearest the inside portion are boxes reserved for grouped dozens. They’re labeled (from top to bottom) “1st 12,” “2nd 12,” and “3rd 12.” You’ll notice when looking at them that they span the portion of the individual numbers to which they refer. For example, the box labeled “1st 12” spans four rows of numbers: 1 through 12. The other two boxes follow suit. Adjacent to the three grouped dozen boxes are six additional boxes. Those at the top and bottom are labeled “1 to 18” and “19 to 36,” respectively. As you might suspect, they refer to the individual numbers which fit their ranges. The next two are labeled “Even” and “Odd” and are reserved accordingly. The last two indicate red and black numbers which are designated by diamond symbols of the corresponding colors. What we have just described is a prelude to making bets on the roulette table. The roulette wheel appears simple, but has been carefully designed to offer precise balance and function. However, because they are mechanical in nature, they are fallible to biases (at least in land-based casinos). In fact, in the early 1980s, U.S. gamblers were able to heavily exploit certain roulette wheel biases in multiple UK casinos. At online casinos like the ones on our home page, those biases do not exist. The numbers on which the ball lands are governed entirely by random number generators. Given that, we’ll explain the basic construction of the roullette wheel and describe its operation. It’s important to realize that there are two main versions of the roulette wheel commonly in use: American and European. The only difference between them is that the American version includes a double zero (“00”). While this seems like a small difference, it has a large effect on the house edge (5.26% versus 2.63%). The traditional roulette wheel has two main parts: the outer bowl and the wheel itself. The bowl does not move; it merely contains the spinning wheel. The dealer will send a small ball along the inner surface of the bowl as the roulette wheel spins in the opposite direction. The ball slowly loses speed and descends, making contact with the wheel and bouncing until it rests in a slot. There are 38 slots in an American wheel and 37 in the European version (due to the lack of a double zero). Each slot is numbered and colored, and corresponds perfectly to the roulette table layout. All roulette wagers are either inside or outside bets. Inside bets are either “straight up” numbers (i.e. 2, 7, 24, etc.) or small groupings of adjacent numbers. For example, a “split bet” is a wager placed on two numbers that share a border on the roulette table. A “street bet” is placed on one horizontal row of numbers. “Corner bets” are wagers on numbers that share a corner and “double streets” are bets placed on two adjoining rows. Outside bets are more straightforward. Red versus black, odd versus even, and “1 to 18” versus “19 to 36” are intuitive. Grouped dozens are also easy to understand. Earlier we mentioned three boxes that lie toward the bottom of the three columns of numbers (they’re labeled “2 to 1” or “2:1”). Those are also outside bets and let you wager on any particular column. There are two main versions of roulette available online: American and European. The wheel used in European roullette has 37 spaces which are numbered 0 to 36. The wheel used in American roulette often has 38 spaces; the extra slot is a double zero. The roulette table is separated into two sections: inside and outside. The inside section is reserved for betting on certain numbers. The outside is used for making broader bets (red versus black, odd versus even, etc.). Roulette is one of the simplest casino games to play. A beginner can literally walk up to a roulette table (or log into their online casino account) and get started without any help. That said, roulette often seems complicated to novices because of the types of bets players can make. Betting odd or even is simple enough. But, street bets, basket bets, and quads can confuse even the most alert newbie. Outside Bets Are The Red / Black Diamonds, Even / Odd, 1st 12, 2nd 12, 3rd 12 etc. Red or Black Roulette Bets – Of the spots labeled 1 through 36, 18 are red and 18 are black. You can wager on either color; if the ball rests on a number that is the same color as your bet, you’ll win. At first, wagering red or black seems like an even bet. But, remember that the zero and double zero spots are green. 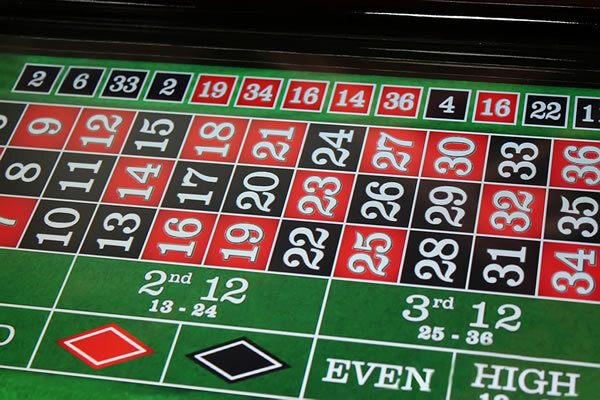 Odd Versus Even Roulette bets – Like red versus black, there are 18 odd numbers and 18 even numbers between 1 and 36. You can place a bet on either group. Again, remember that the two green spots lower your odds because zero and double zero are neither odd or even. Low Versus High – You can place a wager on whether the ball will rest on a number between 1 and 18, or a number between 19 and 36. Like the previous two roulette bets, the zero and double zero slots fall outside both groups. Betting By Dozens – This is a bet on whether the ball will rest on a number between 1 and 12, 13 and 24, or 25 and 36. For example, if you bet on the 2nd dozen and the ball rests on 22, you’ll win. If it rests on 25, you’ll lose. Betting By Columns – The numbers on the roullette table are organized into 3 columns. You can bet on which column contains the number on which the ball will rest. For example, the first column contains 1, 4, 7, 10, and so on. If you place a wager on the first column and the ball rests on 7, you’ll win. If it rests on 8, you’ll lose. Straight Up Bet – You place a wager on an individual number. Your chips are placed in the middle of that number’s space on the table. Split Bet – This is a wager placed on 2 numbers or groups of numbers that share a border. Your chips are placed on the shared border. You can make a split bet on 2 non-zero adjoining numbers, the zero and double zero, and even on two of the dozens (for example, the 1st and 2nd dozen). Street (Or Row) Bet – You can place a bet on 3 numbers that occupy the same row (for example, 16, 17, and 18). Your chips are placed on the leftmost vertical line of the row’s first number. Corner (Or Quad) Bet – This is a wager placed on 4 numbers that share a common corner (for example, 5, 6, 8, and 9). Your chips are placed on the common corner. Six Line Bet – This is similar to a Street Bet. The difference is that you are wagering on 6 numbers in 2 adjacent rows. An example would be 25, 26, 27, 28, 29, and 30. Your chips are placed on the intersecting borders at the beginning of the 2 rows. The Trio – You can wager on whether the ball will rest on a specific group of 3 numbers: 0, 1, or 2, and 00, 2, or 3. Your chips are placed on the spot where their borders intersect. This might surprise you, but all of the roulette bets (except one) that are listed above carry the same odds. Beginning players might think betting red versus black is a better bet, but it pays less than betting on the 1st dozen. The exception is the Basket Bet. It carries worse roulette odds than all of the other wagers. Reading about a roulette table is helpful, but it cannot replace practical experience. While everything that we’ve just described may sound simple enough, the best way to learn and absorb the information is by putting it to use at one of our safe roulette casinos. Keep in mind that your roulette wagers will usually not count toward fulfilling the play-through requirements if you took a bonus when creating your casino account. That said, check the terms and conditions carefully before registering your account. They can change at any time. When you approach the roulette table, you’ll have a small window of time to place your bets. Simply put your chips on the table to reflect the numbers or broad bets you’d like to make. The dealer will send the ball in rotation around the wheel and notify players to stop placing their chips. We have a detailed guide on the different types of roulette bets you can make and their associated odds. As noted, there are inside and outside bets. Some, like red versus black or betting on 12, are self-explanatory. Others deserve explanation. For example, a “split bet” allows you to wager on 2 numbers that share a border (i.e. 5 and 8). You can also make a “quad bet” by placing your chips on a common corner shared by 4 numbers (for example, 17, 18, 20, and 21). Outside bets are simple to understand. But, inside bets can include basket bets, street bets, double streets, and other types of wagers. Don’t worry you do not need to know all of these or their payouts to play. Just pick a few numbers and give it a spin. It’s easy, fun and pretty exciting. There are two types of roullette bets and they correspond with the layout of the roullette table: inside and outside bets. Inside bets are reserved for wagering on individual numbers (i.e. $10 on 7) or numbers which share borders or corners. Outside bets are focused upon larger groups of numbers (i.e. $10 on red, $10 on even, $10 on the first dozen numbers, etc.). You can place bets on the inside, outside, or both whenever you like. However, it’s worth noting that most casinos will not allow you to split the table’s minimum between the inside and outside. For example, if the minimum is $10, you cannot bet $5 on the inside and $5 on the outside. Gamblers who are new to roulette can get started quickly by making one of several outside bets. For example, black or red roulette bets are easy to understand and the payout is instantly calculable. New players are drawn to these outside bets because they’re able to participate without feeling confused or timid. For roulette enthusiasts who would like to know more about black or red roulette bets, we’ll explain the details below. You’ll learn about where to place your chips for this type of wager as well as the odds and house edge. When you look at a roulette table, you’ll notice the numbers 1 through 36 are colored red or black. There seems to be little uniformity in the distribution of the colors. To the left of the numbered grid (assuming a bird’s eye view of the table), there are two boxes. The top box is labeled “Red” and the box directly underneath it is labeled “Black.” To place a wager on one or the other color, put your chips in middle of the corresponding box. At nearly all casinos, black or red roulette bets pay out 1 to 1. In American roulette, the house has an edge of 5.26%. That translates into a winning probability of 47.37%. The reason your odds are not 50% is because of the zero and double zero (“0” and “00”, respectively). European roulette typically lacks a double zero. As a result, the house edge drops to 2.63% and your winning probability rises to 48.685%. Roulette can be simple or complicated to play depending on the types of bets you’re making. Odd even roulette bets are one of the most simple wagers you can place. Even if you have never touched a roulette table, they’re intuitive. On this page, we’ll describe how to make an odd even roullette bet. We’ll also explain the odds, payout, and other details associated with this wager. We’ll also recommend some online casinos like Bovada that offer a fantastic roulette playing experience. On a roulette table, numbers 1 through 36 are arranged in 3 columns. Toward the left of the first column (assuming a top view), there are 2 boxes. One is labeled “Even” and the other is labeled “Odd.” To make an odd even roulette bet, you would place your chips in the center of one of those two boxes. If you wager correctly, this bet pays out 1 to 1. If you’re playing American roulette with the inclusion of the double zero, your odds of winning are 47.37%. The house has an edge of 5.26%. If you’re playing European roulette, the wheel does not include a double zero. As a result, your odds increase to 48.685% and the house edge drops to 2.63%. Roulette is comprised of inside and outside bets. To a gambling greenhorn, watching experienced players throw chips on various portions of the table layout can seem intimidating. However, once you understand the differences between inside bets vs. outside bets, you can quickly immerse yourself into the action. You can place inside bets on “straight up” numbers or small groups of numbers on the roullette table. For example, a “split bet” can be placed on any two numbers which share a common border. A “street bet” can be wagered on any line or row of three numbers. A “corner bet” is placed on a group of four numbers which share a corner. A “basket bet” is a wager placed on the 0-00-1-2-3 combo and “double streets” are wagers placed on two adjoining rows. Outside bets are focused upon larger groups of numbers. For example, you can wager on red/black, odd/even, or 1-18 versus 19-36. There are also boxes on the outside that are reserved for “column bets” and “dozens bets”. All of the inside bets have higher payouts than the outside bets due to the higher odds. Roulette tables often have different minimum and maximum betting limits for inside bets vs. outside bets. What’s more, those limits are handled slightly differently. For example, a table might list the inside minimum limit as $10 and the outside minimum as $10. On the inside, you can meet the minimum requirement by adding your collective bets (i.e. wagering $1 on each of 10 individual numbers). On the outside, you can’t do that. Each of your outside bets must meet the minimum. Also, due to the higher payouts involved, there is usually a lower maximum limit for inside bets vs. outside bets. Roulette payouts are easy to learn and remember, and are based on the type of bet you’re placing. As we’ve covered elsewhere on this site, you can make inside and outside bets at any point while you’re playing the game. Beginners often think that certain bets on the table offer a better payout for the risk they’re assuming in making them. In truth, they don’t. All but one of the roulette bets offers a payout that is perfectly consistent with your odds of winning. Below, we’ll give you a complete list of roulette payouts that you’ll find at online casinos like Bovada Casino or land-based casino. Because there is a higher likelihood of winning with outside bets, they pay out less. For example, wagering on Red gives you a 47.37% chance of winning (assuming a wheel with a double-zero). As a result, it will pay far less than a corner bet which only has a 10.53% chance of winning. A lot of roullette players focus almost entirely on the outside bets. After all, they’re easy to play and seem like the safest wagers on the table. However, the inside part of the table holds the highest roulette payouts:. Here are the inside roulette bets. Not sure what all these bets mean? Check this page on roullette bets. *One note about the ‘basket bet’. It does not pay out in a way that is consistent with your odds of winning. We’re referring to the basket bet. It pays out 6 to 1, but it’s hard to know that it’s a bad bet without knowing your chances of winning. Here’s the short answer: a double street which pays 5 to 1 has a 15.79% chance of winning while a basket has a 13.16% chance. Yet, the difference in both roulette payouts is smaller than the difference in the odds. While nearly every bet gives the house an edge of 5.26%, the basket increases the house’s edge to 7.89%. Here is the super short answer. Avoid the basket bet. Worst odds in roulette. While it may be surprising to new players, roulette odds are identical for every bet with the exception of one (which we’ll explain below). The key to enjoying roullette is to realize that the game’s outcome is purely based upon chance. The amount of money you have to play with and the time you have available will affect the types of roullette bets you make. To fully appreciate roulette odds, you need to understand the layout of the wheel. There are 38 slots on an American wheel and 37 on a European wheel. You’ll understand the difference it makes in a moment. Different bets have different payouts, of course. Even money bets will pay 1:1 while other bets pay 2:1, 5:1, 6:1, 8:1, 11:1, 17:1, and 35:1. The lower your probability of winning, the higher the payout. The ratios between probabilities and payouts for each wager ensure that the long-term house edge remains the same for nearly all bets. The exception is the basket bet (0-00-1-2-3 combination). Due to its relative low probability and payout, the house edge is higher. In fact, the basket bet is widely known to carry the worst roulette odds. As a result, experienced players typically avoid it. Let’s return to the distinction between American and European roullette. As noted, the American wheel has one more slot than the European version. Because of this extra slot, the house edge is 5.26% for all bets aside from the basket bet. By contrast, the 37-slot European wheel slashes the house edge to 2.63%. If you are going to play roulette for gods sake play the European version with only the single zero. Every bet on the roulette offers those same odds, be it straight up on a number or red/black. The only bet offered on roulette that has different (worse) odds is the basket bet (0-00-1-2-3 combination) which has a 7.89% house edge. A lot of players favor European roulette because of the lower house edge and better roulette odds. That is why we recommend that you play roulette at an online casino which offers both American and European versions. There are a number of roulette terms that might confuse even experienced players. This page will provide easy-to-understand definitions for the most commonly used roulette terms. We will also point the way to some online casinos like, where you can experience these terms first hand. American roulette – version of the game which uses a wheel that includes 38 slots; one of the slots is reserved for a double-zero. Ball – marble or plastic ball spun in the wheel at the beginning of each round. Basket Bet – wager placed on the combination 0-00-1-2-3. Column Bet – wager placed on 1 of 3 columns of numbers. Corner Bet – wager placed on 4 numbers that share a corner. Double Street Bet – wager placed on two adjacent rows of numbers. Dozens Bet – wager placed on numbers 1-12, 13-24, or 25-36. En Prison – rule used in European roullette. If the ball lands on zero, all even money bets are imprisoned. 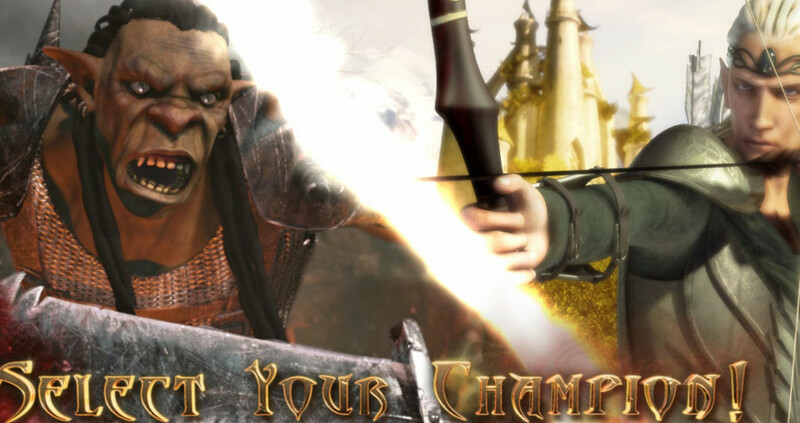 Players can choose to reclaim half. The imprisoned amount is returned to the player if the next spin results in a winning outcome. Otherwise, the imprisoned amount is forfeited. European roulette – uses a wheel that includes 37 slots and lacks a double-zero. Even/Odd Bet – wager placed on all even numbers or all odd numbers. High/Low Bet – wager placed on numbers 1-18 or 19-36. House Edge – casino advantage over a player. Inside Bet – any wager that is not an outside bet. Includes straight ups, splits, corners, streets, double streets, and baskets. La Partage – rule on single zero roulette in which a player will lose half of his or her even money bet if the ball lands on zero. Orphelins – wager on a grouping of numbers organized on the wheel as neighbors, but not organized as such on the table layout. Often used in European roullette. Outside Bet – any wager made on the outside portion of the table layout. Includes red/black, odd/even, high/low, dozens, and columns. Payout – winnings paid to the player. Press – to let your winnings remain with your current bet. Red/Black Bet – wager placed on all red numbers or all black numbers. Slots – grooves on the wheel which are reserved for individual numbers. Split Bet – wager placed on two adjacent numbers on the table layout. Street Bet – wager placed on a row of 3 numbers. Straight Up Bet – wager placed on an individual number. Tiers du Cylindre – wager on a grouping of numbers organized as pairs on the table layout. Often used in European roullette. Toke – a gratuity provided by the player to the croupier. Voisins du Zero – wager on a grouping of numbers organized on the wheel around the zero. Often used in European roulette. The most reliable accounts of roulette history peg the game’s origin to a French mathematician and physicist named Blaise Pascal. He created an early version of roulette in the middle 1600s. Over the course of 150 years, Pascal’s roulette game was modified to include features influenced by several English games. And so it remained until 1843. In 1843, two Frenchmen named Francois and Louis Blanc brainstormed an idea that would allow them to compete with the casinos of their time. By removing the double-zero, they could retain a portion of the house edge while giving players much better odds. Little did they know their idea would prove revolutionary, evidenced by the fact that the single zero wheel is still used today. The U.S. has always welcomed games of chance with open arms and it was no different with roulette. Though it is unclear when or where the game was introduced, it spread quickly. However, the game was complex and unbridled cheating (by everyone) threatened to destroy its integrity. Eventually, changes were made to the French version and much of the complexity was removed. American roulette has now become the most popular version played throughout casinos around the world. Roulette continues to be one of the most popular casino games offered by land-based and online casinos. In fact, the best gambling sites offer both American and European roulette (the French version is rare). You can enjoy both versions at Bovada Casino. They’ll let you download their free roulette software or you can play the games within their Flash-powered in-browser environment.